Hey Sugas!!! Apologize for the delay. I got caught up with work and the hours just got away from me. But it’s all good, I’m here now and with some blushing beauties if I might add. From Indiana to Louisiana, Victoria of Blush Lacquers is headed to Polish Con with a limited edition trio, The French Quarter Ombre Trio which includes Bourbon Street Beauty, Royal Street Rebel and Decatur Street Diva. In addition to the trio, say ‘hello’ to the Double Rainbow Shimmers Collection and Candy Heart Cremes Collection. These two collections each feature 6 creamy pastel shades inspired by the elusive double rainbow and everyone’s favorite conversation heart candies. The Double Rainbow Shimmers Collection has vibrant, contrasting shimmer with a sprinkling of gold flakes to create a dreamy, ethereal look reminiscent of rainbows across a stormy sky. While the Candy Heart Cremes are versatile and can be worn alone for a timeless and simple look or worn as a base color with the coordinating Double Rainbow Shimmers Collection. PLEASE NOTE – THIS POST CONTAINS VIP SWATCHES! Hey Sugas!!! A party just ain’t a party until the host arrives. And here in the Queendom, we know how to party!!! Traditionally, the host arrives a little later than the invited guests and makes a grand entrance. Now the grand entrance is important because it set the tone for the entire event. The entrance should make sense and evoke a sense of excitement. We’ve all seen amazing entrances at weddings and Sweet 16s – maybe it’s being flown in on a private helicopter or horse drawn carriages, regardless, it’s always the talk of the town. So let me paint the scene for you….. Lights are dim and instantly a loud BOOM and complete darkness fill the space with hundreds of party go-ers. Suddenly, glowing neon strobe lights in shades of purple, green and gold appear and out of nowhere music is blaring out of the speakers. Slowly the lights start to fade in and there is Miranda of Ever After Polish atop her Mardi Gras float. The host of all things Polish Con has officially arrived!!!! Let the party begin!!! Along with her, she brings her event VIP, an exclusive , 3 LEs and a remix. This is one for the books! Hey Sugas!!! I hope you’re not tired because the Polish Con train is just heating up and the final stop… New Orleans! 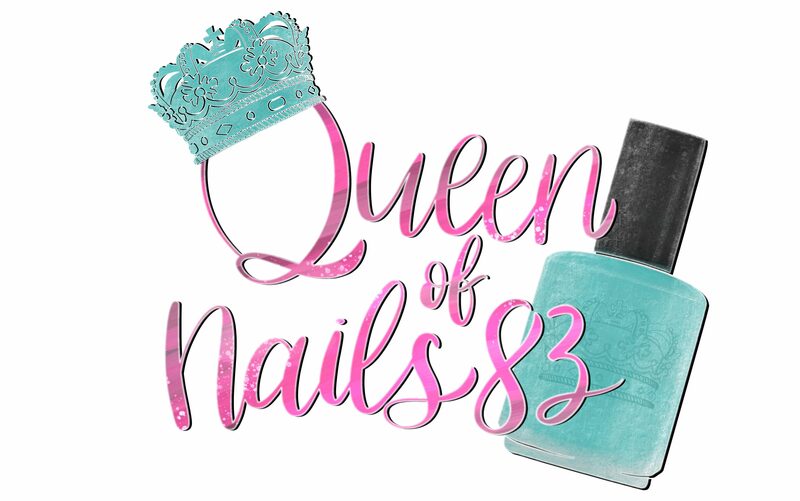 From the all-star brand that brought you such greats as The Wilds of Arizona parts 1 & 2, the Spring Punk Quad and Sirens of the Summer, allow me to introduce you to another Polish Con veteran all the way from Arizona, Rachel of Rogue Lacquer! Rachel is ready to take Polish Con by storm with 3 bayou bombshell limited editions and her newest, upcoming collection debuting at PC, Adventure Awaits: Isle of Wight!!! Let’s take a look! Louisiana is the home and/or birth place of many greats including stars and celebs like Ellen DeGeneres, Harry Connick Jr and Sandra Bullock just to name a few but what may not have know was that Jill of Jreine also calls it home. Yep, the co-host of the Spring 2019 Polish Con is the creator and mixologist behind the fabulous-ness of Jreine. Although her love for everything nails started long ago when she started going to cosmetology school to be a nail technician, her indie journey began in 2012 with Jreine officially starting at the end of 2016 on Etsy. As you can imagine LA courses through her blood so everything she does has a New Orleans flair to it including the 3 event exclusives. Hey Sugas, we have another fun, polishes filled with to get through as I bring you 7 more brands and makers headed to the Big Easy for Polish Con on Saturday, April 6th. Mary of Quixotic plans to melt our heart and take all our money with the creation of 3 new polishes. Let’s take a closer look…. Beaucoup Crasseux: (Bookoo crass-oo) is the Polish Con Event Exclusive!! This polish will be limited to 6 per customer and any overpour will be listed on the site after the show. Tinkle, Tinkle will be debuting at Polish Con NOLA and be limited to 3 per customer at the show and any overpour will be listed on the site after the show. The Sunset Duo was inspired by the sunsets of the respective homes from Quixotic Polish, Great Lakes Lacquer and Louisiana sunsets which are generally filled with pollution but make for a heck of a sunset… and polishes! The Sunset Duo includes, “To the East” (GLL) and “To the West” (QP) and is a Polish Con exclusive collaboration. It will be sold as a set at Polish Con for $22 with 60 sets available 30 at the GLL table and 30 at the QP table. It will also be available online for 1 week only starting Friday, April 12th at noon est on the Great Lakes site for $25+shipping. Please note there will be a 10-15 business day TAT after close of sale. Well that about sums it up, now let’s get this party started!!! !